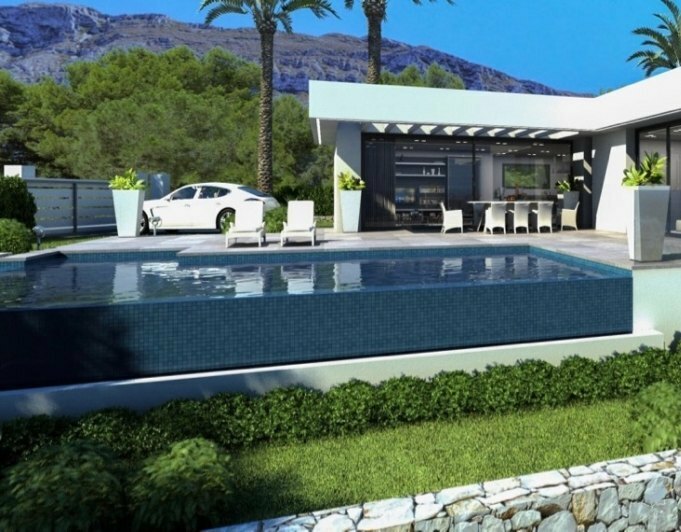 Sunny Villa for sale in Denia, Alicante, Costa Blanca. The Villa is located in a complex with communal swimming pool, it has its private garden and independent access. 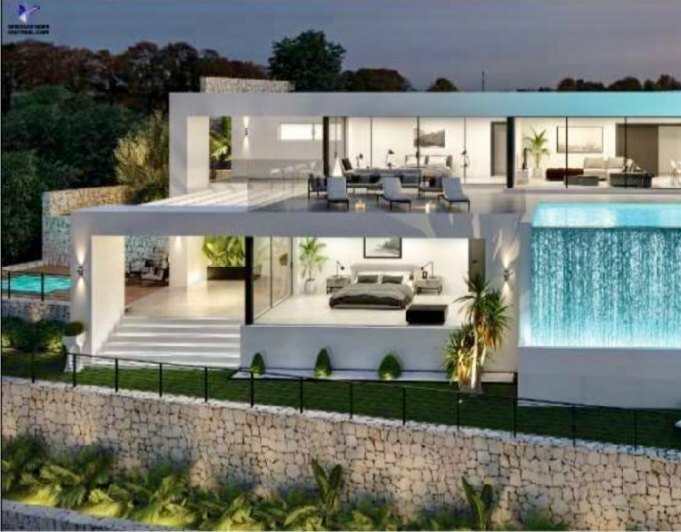 South-facing Villa, offers on its main floor large living room with open kitchen and access to the covered terrace and to the garden, two bedrooms and a bathroom with bath. On the ground floor we find a room used as an office, a bedroom and a bathroom with shower. There is also a loft with terrace overlooking Denia and the sea. The former garage has been reformed as guest apartment with office kitchen and bathroom with shower.